It’s the most important path forward to progress – higher education. A citizenry that is well-educated means that all parts of its society – science, industry, the arts, technology, healthcare, etc. are all functioning at high levels. This, in turn, provides employment, investment, and generally a higher standard of living. As with students in any part of the world, there is the choice to select local colleges and universities or to go abroad to study in another country. There are eight chartered, licensed or accredited universities that offer either four-year degree programs and/or graduate (masters and doctorate) degrees. These colleges are very traditional in that students must be physically present in the classroom. For students who live in the cities where these colleges are located, attendance is not the issue. But it is for those who live in outer areas of the province and who cannot afford the residency living expenses. In a recent Balochistan Point article, the Provincial Secretary for Secondary Education, Mohammad Tayyab Lehri stated: “…there has not been much reform in the education system over the last few decades…Colleges throughout Balochistan are not well-equipped.”The existing universities do not offer distance learning opportunities for students, either by setting up satellite campuses or development of strong online degree programs. 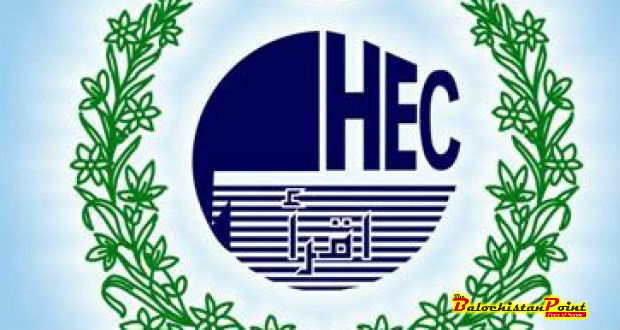 The focus of HEC scholarships for Balochistan students to study abroad has been in the field of law almost exclusively and is for only 100 students from the province.Of some 25,000 Pakistani students studying in China, with about 7,000 on scholarships from Chinese universities, only about 200 are from Balochistan.Of course, there are other international options for students, but much more work needs to be done to publicize and make students aware of the processes for exploring these options and for assisting them in those processes. Balochistan is the poorest province in all of Pakistan. There is not an emphasis placed on higher education among the majority of the residents, and that should change, beginning at the elementary level. Curricular improvements along with infusing an understanding of the value of higher education into family “thinking” can motivate more students to excel and prepare themselves for higher education opportunities.Much needs to be done to improve the local colleges and universities, including investments in technology, facilities, and faculty. Graduates cannot provide value if their degrees have not resulted from the latest skill developments.Local universities must be provided incentives and funding to establish distance learning opportunities, including online degree programsHEC scholarship programs must focus on far more than just the narrow field of law. Competitive technology, healthcare, business, and finance degree programs offered in many parts of Asia should be the focus of scholarship money until local universities can actually compete with those programs. There is great human potential in Balochistan – young people who, when provided with motivation and opportunity, have as much capacity to excel as young people anywhere in the world. As stated above, it takes an educated populace to move society into the 21st century, with all of the benefits that such a society brings – high employment levels with good wages, improved healthcare, modern infrastructure, a consistently growing middle class, attraction of investors, new industries, and more. Until then, students in Balochistan must be made aware of all of the higher education opportunities that do currently exist, must be encouraged and shown how to pursue them, and must be financially supported through grants and loans until those long-term solutions are in place. Daniela McVicker is a freelance writer, blogger, and a contributor to Topwritersreview. She graduated from Durham University and has an MA in psychological science. Her passion is travel and finding ways to enrich students’ learning experience.